Massive 5 element Yagi for the 160m band. This is a very big antenna that covers a football field. The 5 element mono-band Yagi antenna series have been designed keeping in mind the requirements of an avid DXer. While designing 5-el Yagi antennas, special care has been taken to optimize the elevation lobe patterns to enable low angle and long range skip operation. These antennas have full size elements on a full size boom. Inter-element spacing has been optimally graded to achieve good forward gain and yet retain excellent Front/Back (F/B) ratio. On DX band, 20m and beyond the gain is better than 15.5 dBi with F/B ratio 33-40 dB and deployment height of 80 ft (24m) above ground. 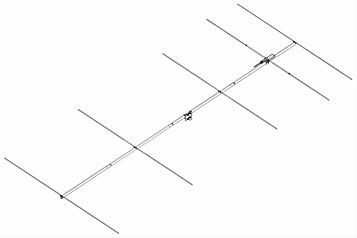 The 5 element Yagi series have excellent DX capabilities (within limits of propagation) even on top bands and middle bands including 30m and 40m bands. To achieve this, the 160m version is deployed at 300 ft (90m) above ground, while 80m version is at 165 ft (50m) and 60/40/30m versions are deployed at 132 ft (40m) heights. 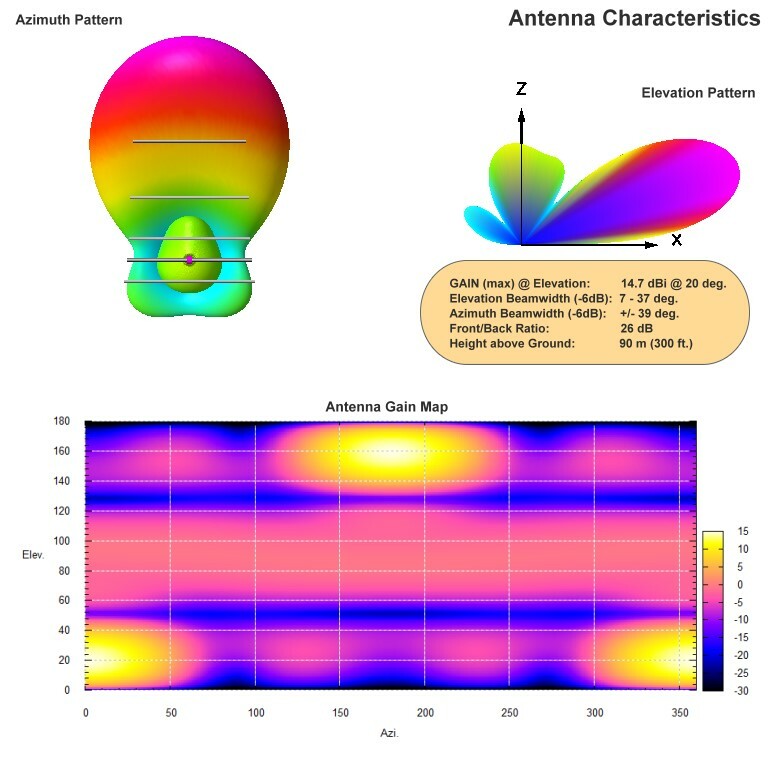 Like all other antennas designed for HamSphere 4.0, the 5-el Yagis also feature low SWR across all bands, high radiation efficiency and excellent value for money.